Over the weekend I attended The Blog Societies Conference (#TBScon) hosted at the Avalon in Alpharetta, Georgia. 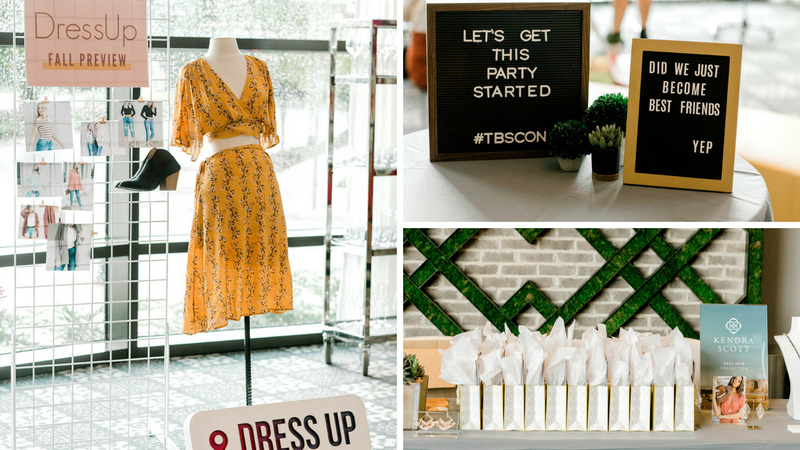 TBScon is a member only event that brings together 75 of the top digital influencers of the network from across the country. 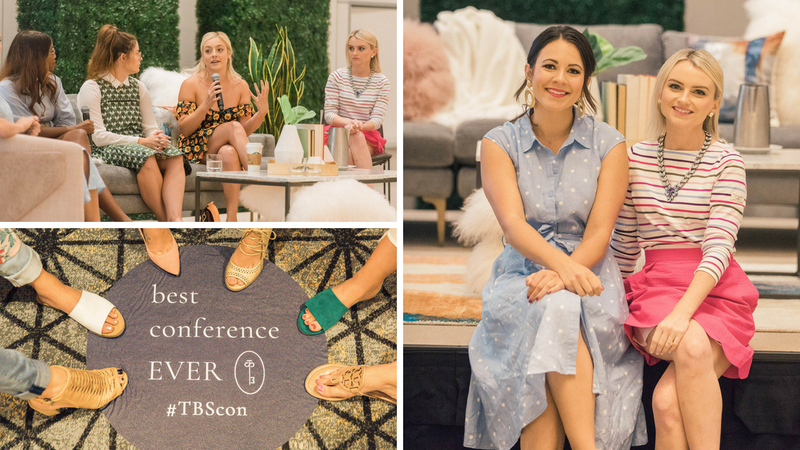 A huge thank you to The Blog Societies founders Cathy Peshek from Poor Little It Girl and Jessica Camerata of My Style Vita for the successful event! The Blog Societies Conference 2018 was my first time attending and I didn’t really know what to expect. My experience at TBScon far outweighed my expectations. I came home with new friendships, new perspectives, and a new love for blogging. Check back this post to see 10 blogging tips I learned from the conference. But first, here are the details from The Blog Societies Conference. Thank you Colleen from xxiii Photo Studio for covering the event! TBScon was held at the gorgeous boutique Hotel at Avalon in Alpharetta, GA. This is the place to be on the weekends! It was so convenient having everything from shopping to eating within walking distance to the conference. Plus, everything at Avalon is gorgeous, perfect for a group of bloggers always looking for the perfect photo op. If you’re in Atlanta I highly recommend The Hotel at Avalon for your next staycation. The welcome party set the tone for the weekend. It was so fun meeting girls you’ve followed for years. I can’t tell you how many times we said “Hi! I think we follow each other :)” before introductions. A few of my favorites from the welcome party was hair braiding with Dry Bar, live fashion illustrators, and custom calligraphy with Goodys hair. 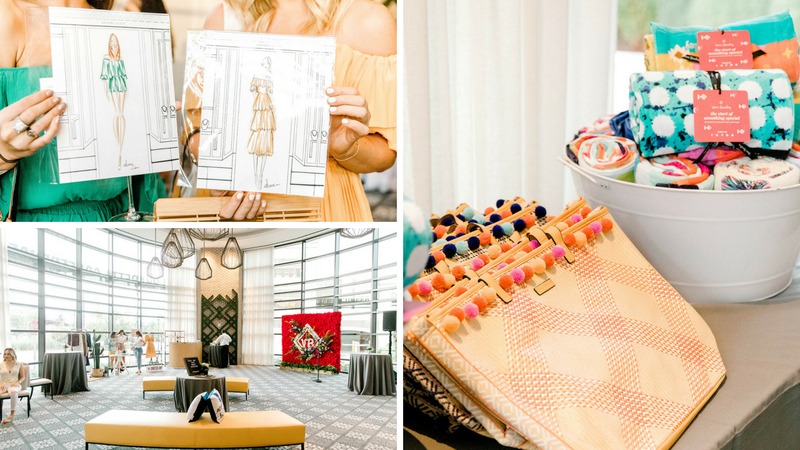 I previewed the Fall collections from Dress Up and Kendra Scott, both amazing by the way. I met so many great brands and friends at the TBScon Welcome Party. How cute are these pom totes from Vera Bradley? They put together a gorgeous red flower wall for the perfect backdrop. 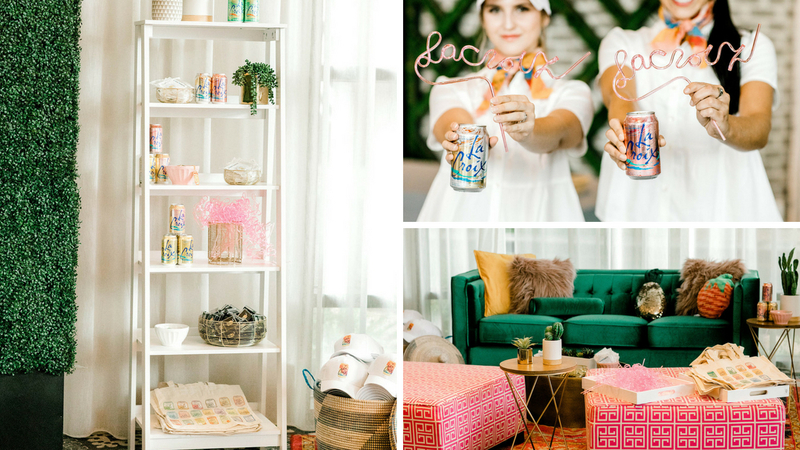 La Croix knows how to throw a party and didn’t miss any details! Throughout the weekend their decor and props were a fan favorite. Day 2 of TBScon kicked off with breakfast hosted by The Hotel At Avalon followed by workshops with industry leaders. 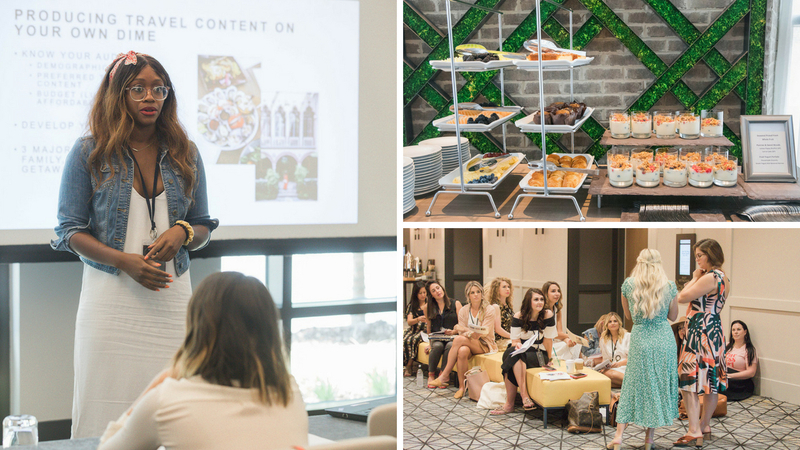 Each attendee picked 4 of 6 workshops at the conference on topics including travel blogging, contracts for creators, blog design and SEO, photography, and social media marketing. I soaked up every bit of information and created a long to-do list to improve my blog and business. I plan to share some of the key points I learned from The Blog Societies Conference tomorrow on Strawberry Chic! We had lunch at South City Kitchen hosted by Mud Pie and Goody. The hosts decorated the table with the upcoming Fall collection from Mud Pie and Goody hair ties cleverly trickled into the decor! We ended Day 2 with a swag bag grab from some of my favorite fashion and lifestyle brands like Aerie, Waiting on Martha Home, Rachel Parcel, Colleen Rothschild (skincare routine here), Mary Kay, Papermate, Rubbermaid, Crockpot, Calphalon, Pureology, and more! After this I headed straight to Atlanta for the Taylor Swift Reputation tour. It was an epic weekend for sure! We started Day 3 with La Croix and Bell Canning for a colorful breakfast. 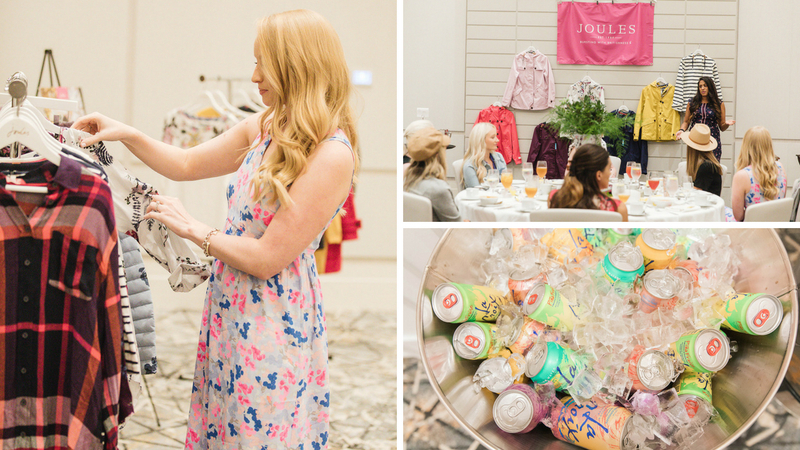 I loved making my own fruit La Croix and chatting with friends sharing insights on Pinterest strategy. I’m wearing this colorful maxi dress c/o Joules. I received so many compliments on this dress at the conference and you can’t help but feel cheery in this color combination. After breakfast, we heard from keynote speaker Grace Atwood from The Stripe. I loved hearing her story to success and how she cultivated community with her readership. Brittany Stevens from Lawer Lookbook discussed and clarified important FTC guideline updates. The FTC or Federal Trade Commission protects consumers from unfair business practices. I’ll be sharing more about this in tomorrows post. We ate lunch with Joules and I’m so excited to share some of their collection with you later this Fall. Their line is quickly becoming one of my favorites for classic colorful pieces and rainwear staples. 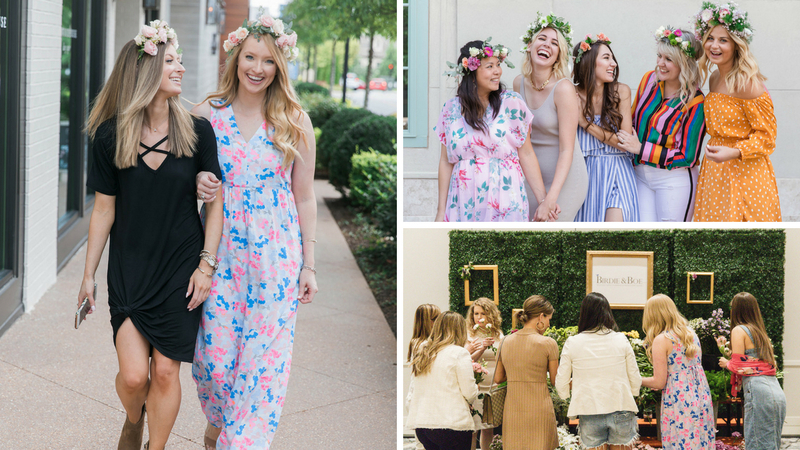 We ended the conference with a creative breakout where we learned to make flower crowns with Birdie and Boe Events and La Tavola Fine Linens. It was easier than I thought and would be the perfect activity at your next get together or bridal shower. I had to snap a picture with my twin, Amanda (yes, the same name! ), from Pardon Muah who I am so happy I met over the weekend. Connecting with like-minded girls was one of my favorite parts of the weekend. I really didn’t know what to expect from my first blogging conference. 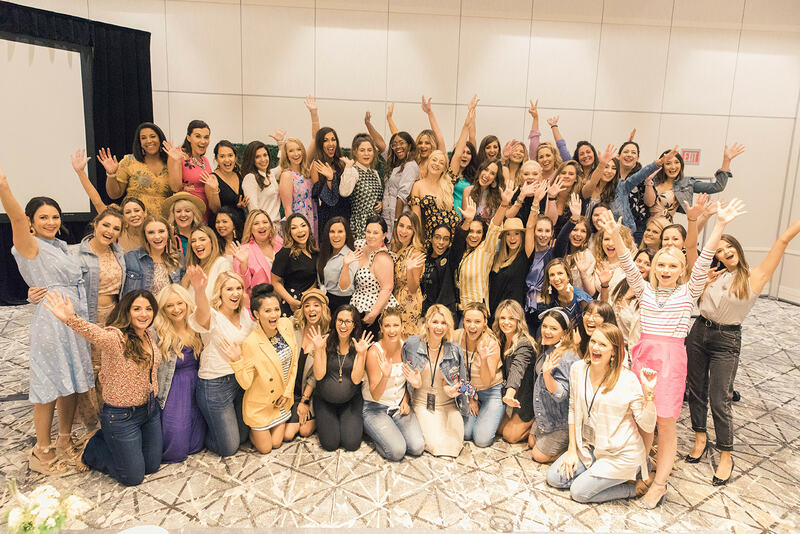 I always get a little nervous meeting a large group of girls because let’s be honest, not all women are inviting and open to sharing their insights to success. Everyone I met at the conference made me feel encouraged, supported, and were willing to share tips to their own success. If you’re thinking about attending The Blog Societies Conference next year, I will definitely see you there! Thank you for coming!! LOVE this recap! !